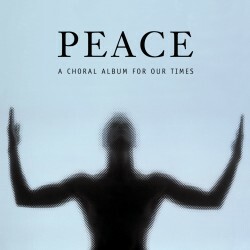 Peace is a choral album for our times, a rich collection of popular a capella works such as Barber’s Agnus Dei, John Tavener’s Song for Athene and Elgar’s Lux Aeterna (Nimrod), alongside lesser-known compositions by Rachmaninov, Schoenberg and American composers Randall Thompson and Morten Lauridsen. 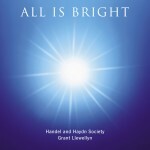 Quite simply, Peace is over one hour of gorgeous and inspiring music. “I arrived in Boston to take up my appointment with the Handel and Haydn Society on the evening of September 10, 2001. I awoke early the following morning to witness the horror taking place in the skies over America. Growing up in Wales, I was sandwiched between the English and, just across the water, the Irish between whom the “troubles” raged throughout my childhood, and still simmer. For years, we have borne witness to tragedies in the Middle East, the Balkans, Chechnya, the Koreas, Afghanistan, and many other lands. It would seem this species of ours is hell bent on conflict. What can we as mere musicians possibly do to alleviate this situation?